Microsoft has released a powerful Facebook desktop client, based on Silverlight 4.Facebook Logo We had already reviewed many Facebook applications for desktop in the past like Fishbowl, Notifications 2 or ISeeYoo. Most of these are mere notification or status update applications for Facebook. 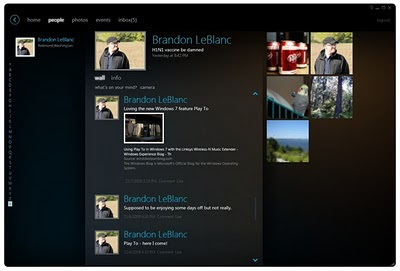 But the current Facebook desktop client from Microsoft is way ahead of these applications. The features packed in this desktop client with the simplicity and ease of use, can challenge any Adobe Air based application very easily. The client is still a developer preview release and is available for download on Windows and Mac. * It can host HTML content interactively. * It can even access your webcam, so that you capture your own image and upload it directly to Facebook. * It also has support for embedded video playback. * Most of the controls can be accessed by Right-click. * It has support for desktop notifications too. This one is better than fishbowl. gud to know tht u lik'd it..